A cold and successful lawyer gets involved in a tragic accident who then suffers from amnesia. This drama portrays the lawyer trying to discover who he really is. Kim Seok Joo (Kim Myung Min) goes by fair play or foul methods to win his cases. An accident though leads to the lawyer losing his memory. 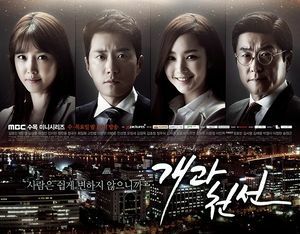 Lee Ji Yoon (Park Min Young) is an intern at the law firm who works directly under him. Meanwhile, Yoo Jeong Seon (Chae Jung Ahn) is his fiance. She is the only grandchild of a wealthy family. Cha Young Ho (Kim Sang Joong) is the CEO of the lawyer firm whom had molded Kim Seok Joo to be an ace lawyer through his connections and teachings.